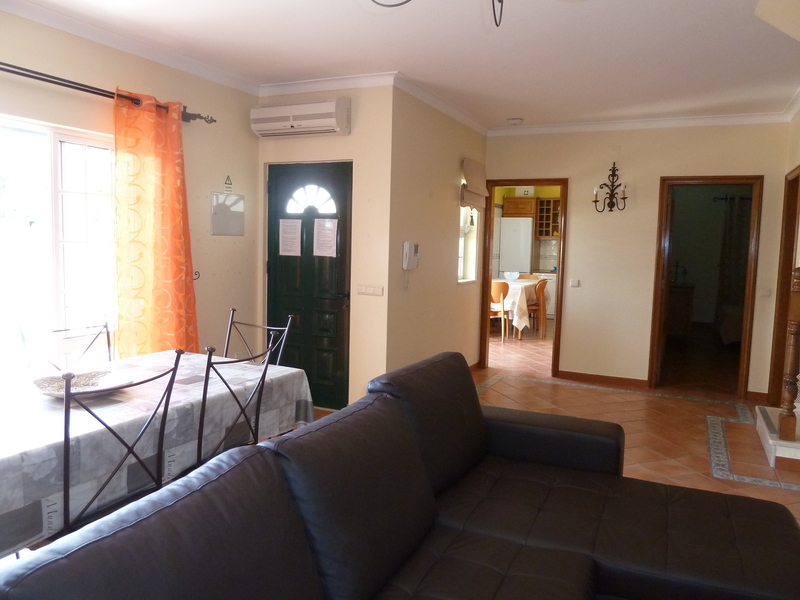 Beautiful, 3 bedroom villa air-conditioning, great Albufeira central location. 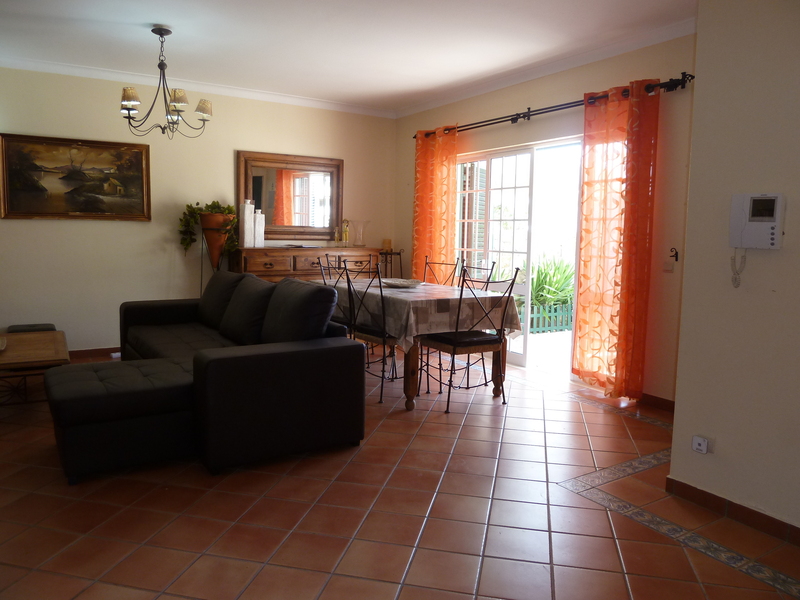 Very private villa, pool & terrace with lovely flowers, plants & shrubs. Large 9 x 4 metres pool with plenty room for sunbathing! Short walk to Old Town. Gated & fenced, large 9 x 4 m pool, extra safety for families with children. Lovely terrace area for outdoor dining, which can be covered or open, plus BBQ. 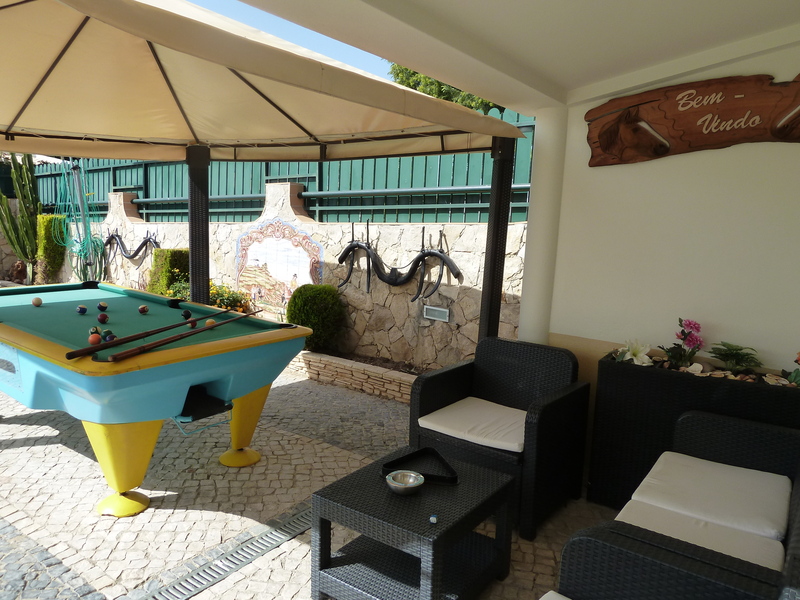 Relax by the pool in a covered area, play snooker and sit and enjoy the match. Air Conditioning Lounge/dinner with doors to terrace, kitchen and bedroom. Very spacious, colourful & comfortable lounge with sofas and dining room. Attractive A/C, combined lounge/dinner with steps to 1st floor bedrooms. 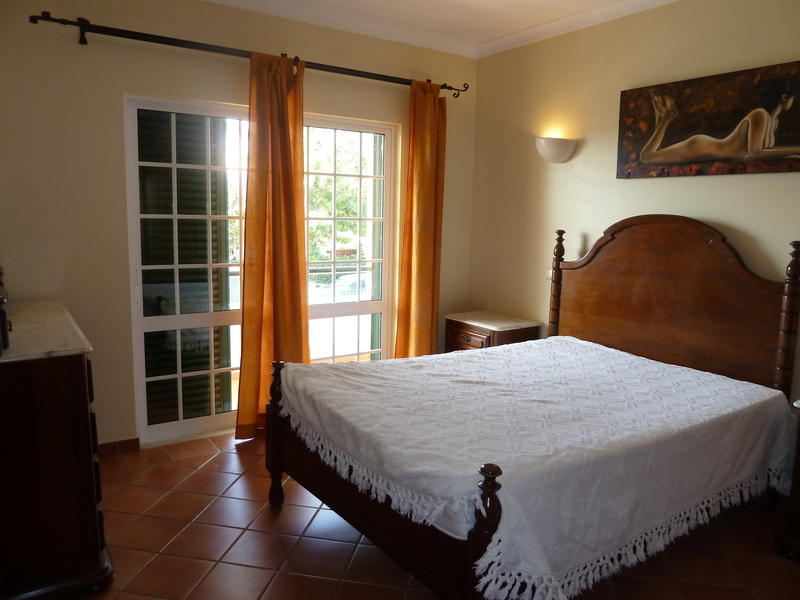 1st floor a/c bedroom with double doors to private balcony overlooking pool. 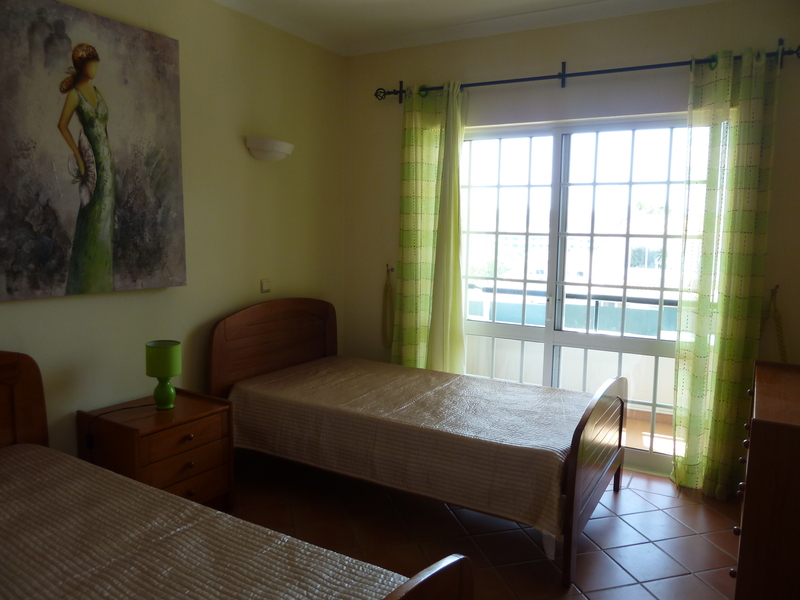 All 1st floor bedrooms have a/c, double glazing & shutters & private balcony. 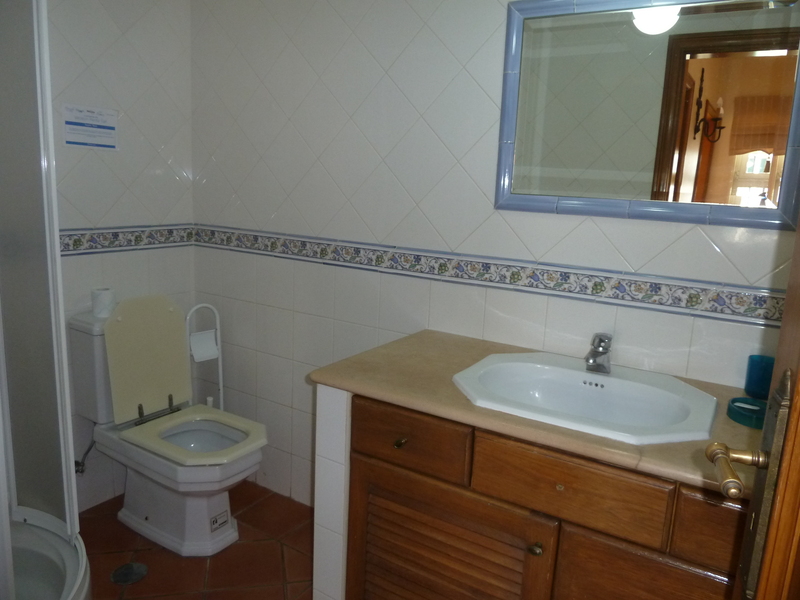 Full bathroom on the 1st floor located in the middle of both bedrooms. 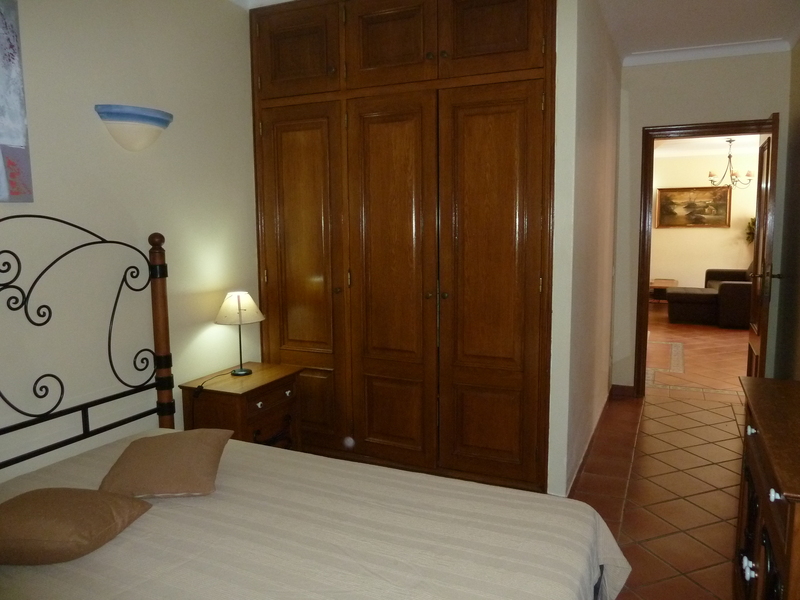 Ground floor a/c bedroom with double bed, built in wardrobes, bedside cabinets. Ground floor bedroom & all bedrooms have built in wardrobes & bedside cabinet/s. Attractive tilled, floor to ceiling ground floor bathroom with walk in shower. Fully equipped spacious kitchen, complete with breakfast table overlooking pool. 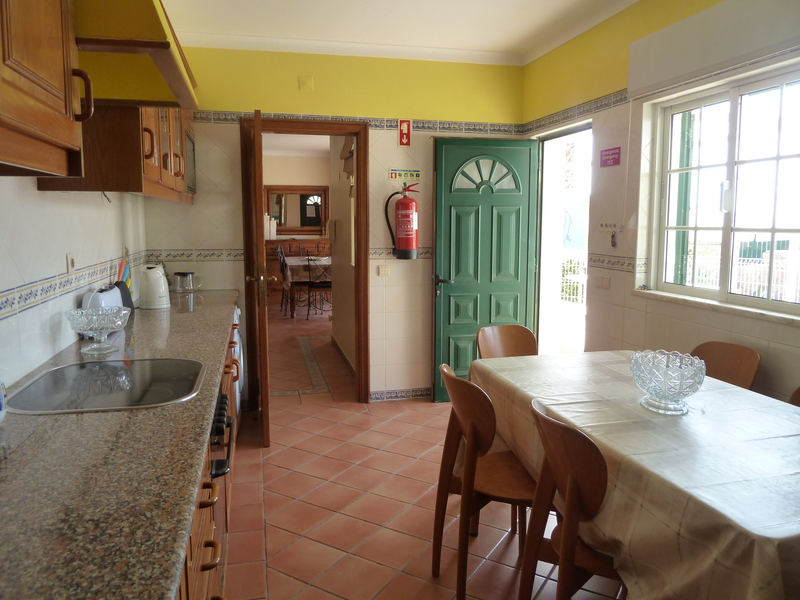 The light and bright kitchen, has double windows and doors to terrace & lounge. 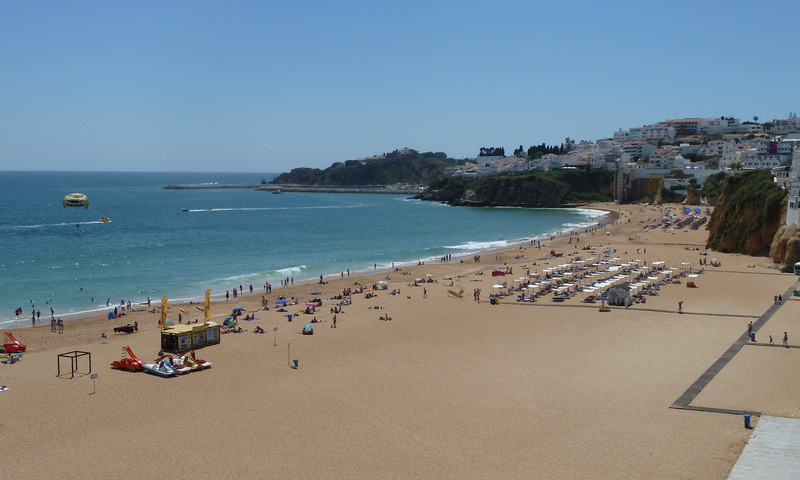 Albufeira Old town, there is also, this long stretch of beautiful beach. Nearby Blue Flag beach of Olhos Agua beach. Quality 5 Bedroom Villa with Private Pool with a Great Central Albufeira Location Near the Old Town & Beaches. 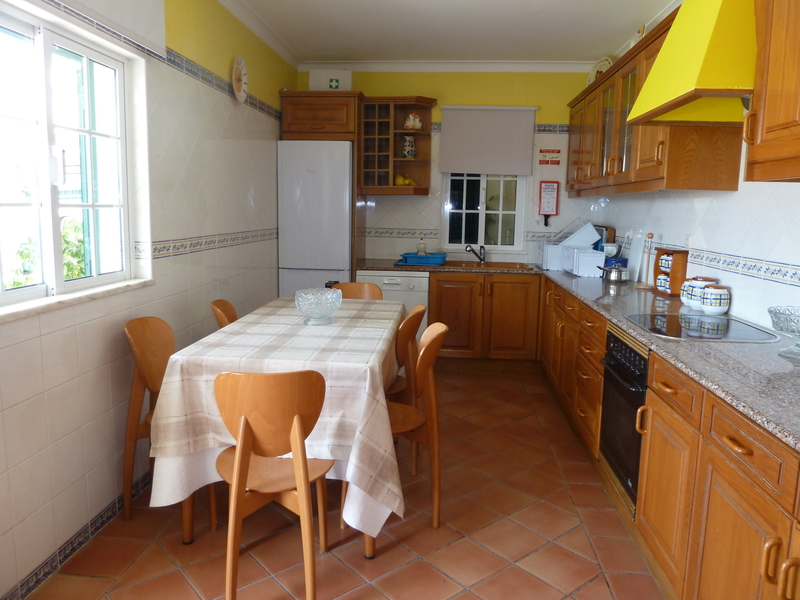 Centrally located Villa in Albufeira walking distances to everything! Perfectly Located! Quality Air-Conditioning Villa, 5 Bedroom Villa for 10-12 Persons+Infants, this villa is located in a sought after Albufeira central location in residential Calicos, close the heart of picturesque Albufeira old town and sandy beaches . 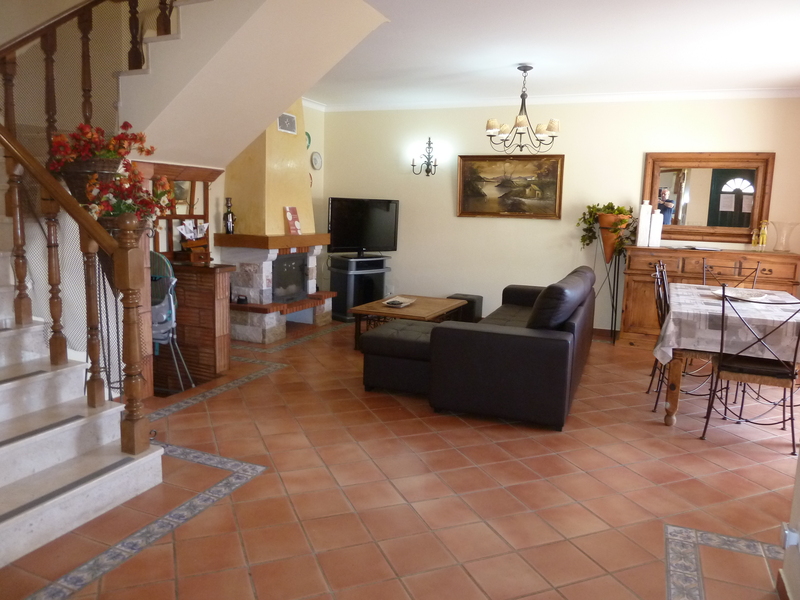 It highly unlikely you will find a villa like this one, at these great prices. But, you be the judge of that. Not just great prices, but a comfortable, home from home villa, perfectly located without traffic noises, in the lovely area of Calicos, very near the heart central Albufeira old town, including the superb fisherman’s beach just 1.9 km away only a leisurely (15 minutes walk away). 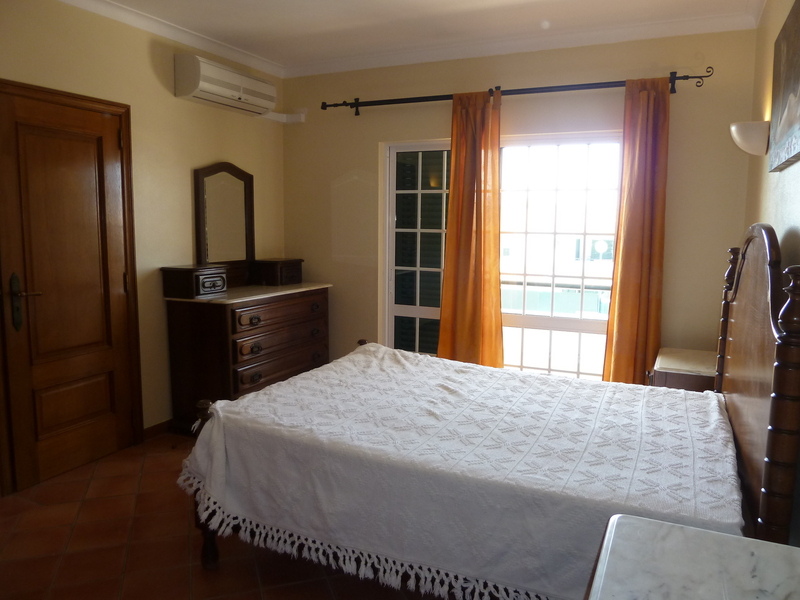 Commanding an excellent central location in Albufeira and a delightful area. 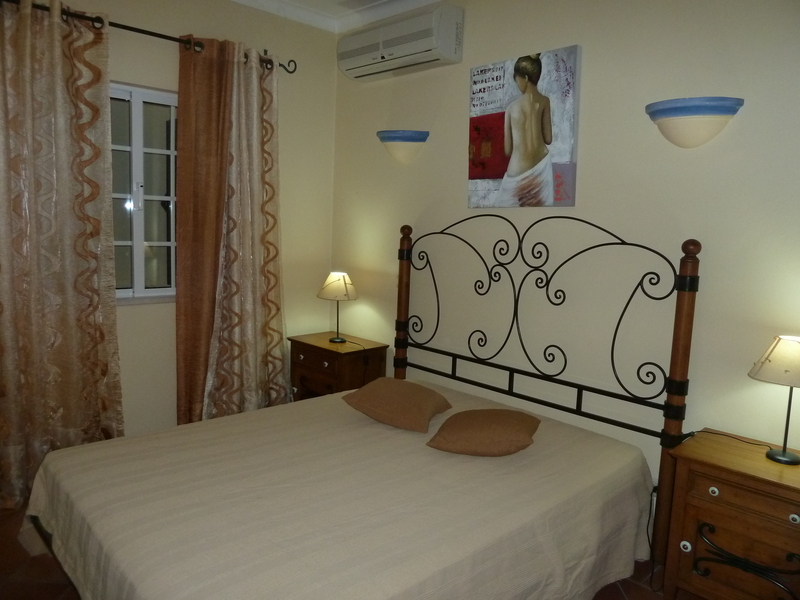 The villa will ensure you of a relaxed & lovely atmosphere! Away from the very centre of the hustle and bustle of Albufeira! Yet! It is close to absolutely everything! Just metres from local cafes & snack bars, several Restaurants, offering excellent daily dishes, and a la carte Portuguese cuisine. There are several snack bars, mini markets, hairdressers, laundrettes and more. Not forgetting this area is home to one of the best restaurants in town ‘A Cocheira’. As for Albufeira old town with its many restaurants, shops, lively bars, clubs and the famous fisherman’s beach is an easy walk with a only 1.9 kms, an away, an easy 15 minutes walk to the old town and, electric stairs down the to the beautiful, and sought after Albufeira’s fisherman’s beach. 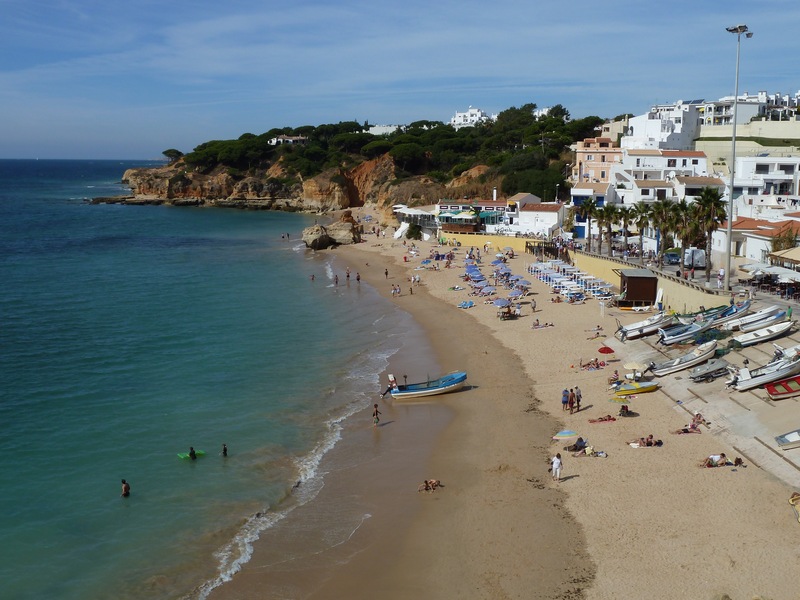 There are many beautiful sandy beaches throughout Albufeira, none so than your local sandy, Fisherman’s Beach close by at only 1.9 km away. There are many other nearby beaches – the colourful Praia da Oura, the picture postcard beach of Santa Eulalia, Maria Luisa beach & home to Club Med, the beautiful fisherman’s beach and village of Olhos Agua, not forgetting the stunningly beautiful Falesia beach, with its long stretch of golden sands with red cliffs. the stunningly beautiful Sao Rafael, the beautiful Coelha beach & many others, including our favourite hideaway beach of Praia Arrifes! All with restaurant & bar. During the day or night, do visit the colourful & lively Albufeira old town a short, pleasant walk away, with its narrow streets, many shops, restaurants, cafes, lively bars, etc. Or, head off to the best shopping mall on the Algarve, under 10 minutes drive from the villa 7 km. Super Villa! Close to many facilities! : Spacious & Comfortable Villa with Air-Conditioning, 5 Bedrooms, 4 bathrooms, private pool, lovely partly covered terrace, very sunny all day terrace and pool south west facing villa. The villa’s superb location, offers, sunny terraces, a combined spacious and comfortable dinning & lounge area with Cable TV, large plasma TV, overlooking the pool and terrace with outdoor BBQ. The very attractive, large private pool, always sunny, large 9.00 x 4.00 metres pool, with depths from 1.10 metres to 1.90 metres with a a lovely green surrounds with shrubs and plants, all forming a delightful area to enjoy and relax. On the ground floor, there’s a fully equipped kitchen, a combined lounge/dining area with air conditioning both overlooking the pool & terrace, and there is 1 double bedroom with air conditioning and a bathroom, on the ground floor there are 2 extra twin bedrooms adjoining the villa, each with a private bathroom and own entrance, no air conditioning, fans or heaters available. On the first floor of the main villa, there are 2 bedrooms, each with air conditioning and each with a private balcony overlooking the pool & terrace, local small park, and surrounding villas. 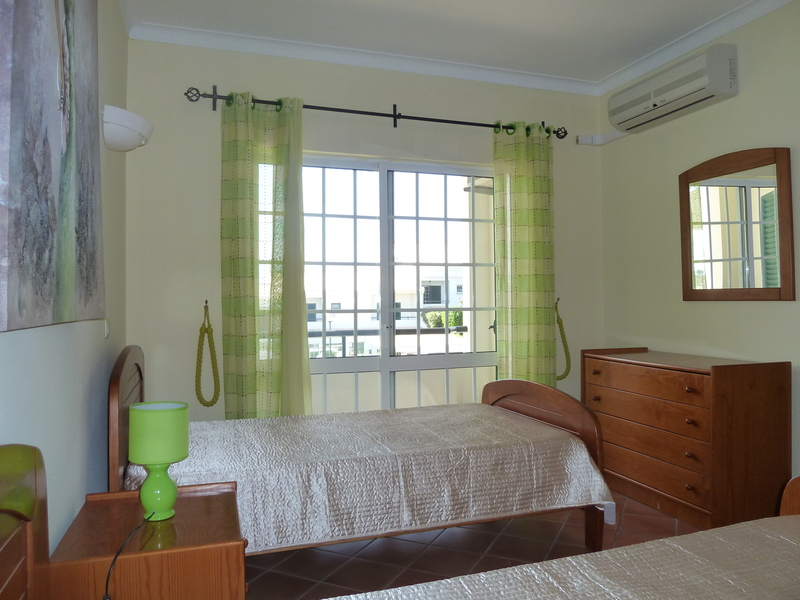 All of the bedrooms have air conditioning and all have double glazing windows, doors and shutters. The kitchen has a double window overlooking terrace and pool along with a door to pool terrace with table and chairs for outdoor dining with built-in BBQ. The comfortable combined lounge, dining area also with air conditioning, has an adjoining door to the kitchen and double doors to terrace and pool. The stairs from the lounge, lead up to the first floor, with a further 2 spacious bedrooms, south west facing with air conditioning (one twin & one double), each with double doors with shutters to a balcony overlooking with the pool, terrace, Albufeira old town, countryside and surrounding villas. Notes: With private shower, kettle, microwave & fridge. No A/C. Notes: Ground floor bathroom fully tilled with walk in shower. 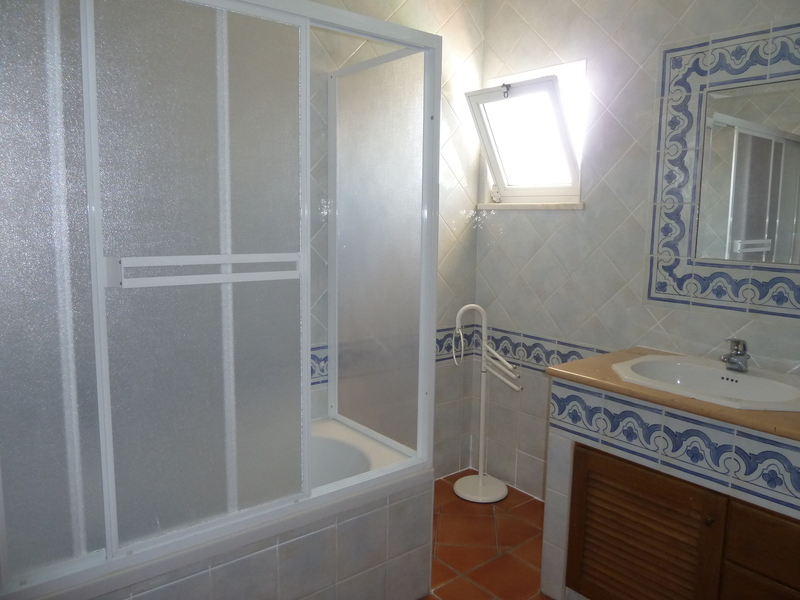 Notes: 1st floor full bathroom with bath & hand held shower. Notes: 4th bedroom with private walk in shower, basin & W.C.
Notes: Adjacent 5th bedroom with private shower, basin & W.C. Perfectly located also for big supermarket shopping with Aldi & Lidl is only 600 metres away, easy walking distance, and there is also the daily market only 500 metres away. 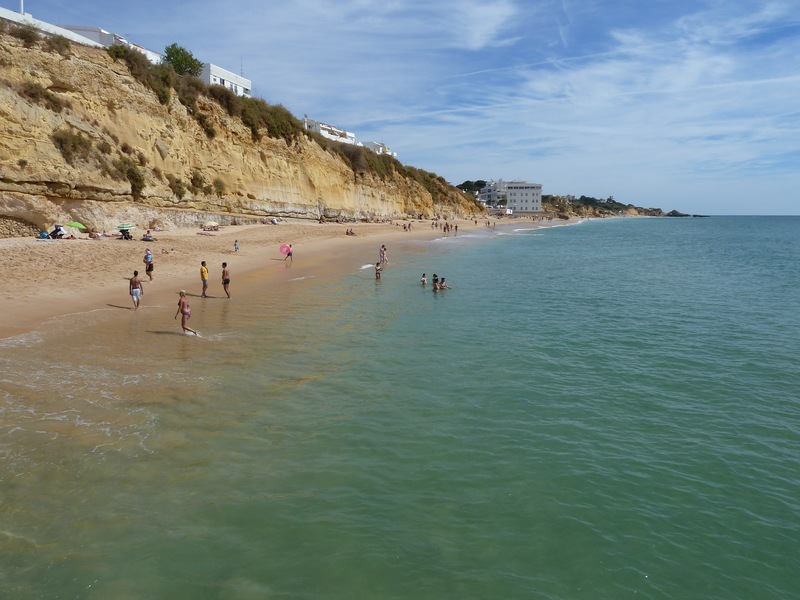 As for Albufeira’s coastline, with its many glorious ‘Blue Flag’ sandy beaches, the nearest to the villa, can be found, a short & pleasant walk away, Albufeira’s own Fisherman’s Beach, only 1.9 km. away. Nearby, you’ll also find many more amazingly beautiful beaches – the colourful Praia da Oura beach, the picture postcard beach of Santa Eulalia beach is a must visit beach, the beautiful Maria Luisa, the very pretty Olhos de Agua, not forgetting the spectacular long stretch of sandy beach of Falesia, all “Blue Flag” beaches, all with own restaurants and cafes and bar. Many more stunning beaches can be found near the villa. West of Albufeira’s Marina (more “Blue Flag” Beaches can be found), include the stunning Sao Rafael beach, Arrifes Beach, our personal little hideaway favourite beach, then, there is Coelha Beach & many more going towards Gale Beach, including the pretty beach of Lourenco Beach in Gale, and the main beach in Gale with a long stretch of golden sands, all with own restaurant cafe & bar is also a must visit and enjoy beach. You do not need a car if you stay at Villa Guisado. If you want to explore all of the sights and beaches of Albufeira, you have the Giro Albufeira buses bus stop 200 metres from the villa. Or we have negociated very special prices for you, for only €10 you can have a private mini bus up to 8 persons per each way, around Albufeira, available to you, picked up from your villa. Details with your documents and in the villa. Enjoy, the best beaches in Europe. Enjoy Albufeira, enjoy the beautiful, sunny Algarve. A warm welcome is guaranteed of this fascinating & sunny region of – the Algarve. There are several nearby golf courses can be found from only 6 km away . We had a lovely relaxing time at the villa, great location with fantastic weather too.